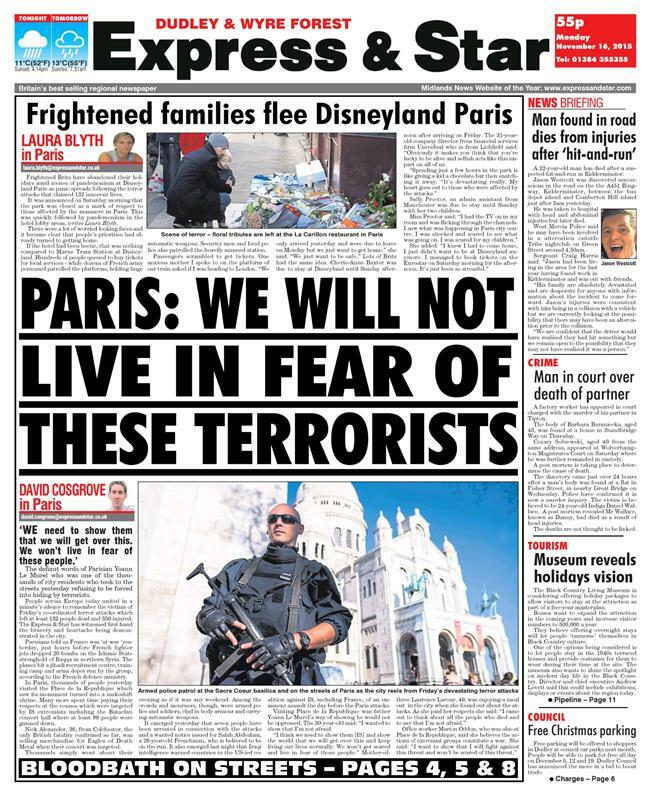 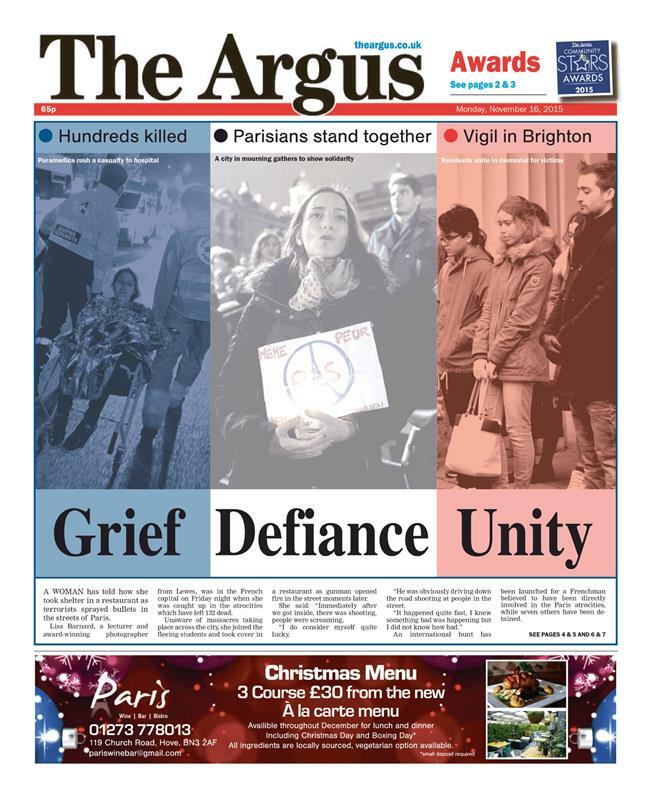 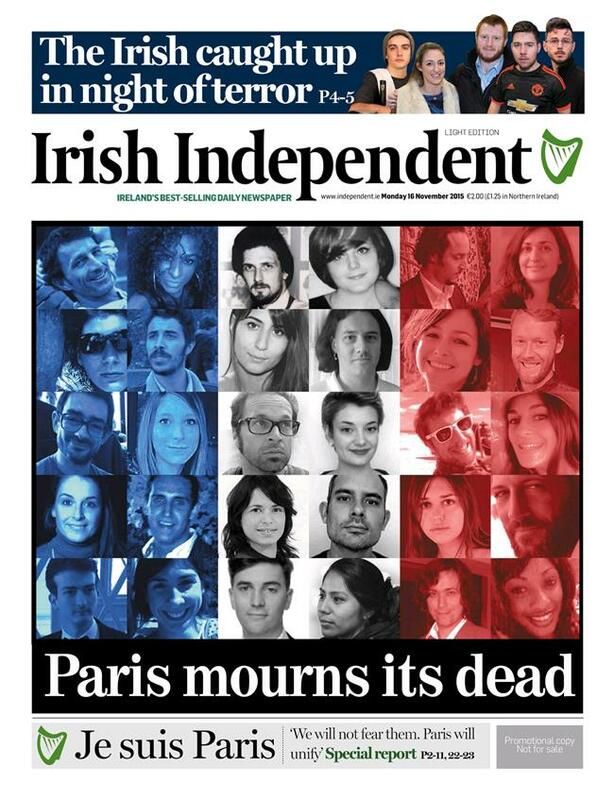 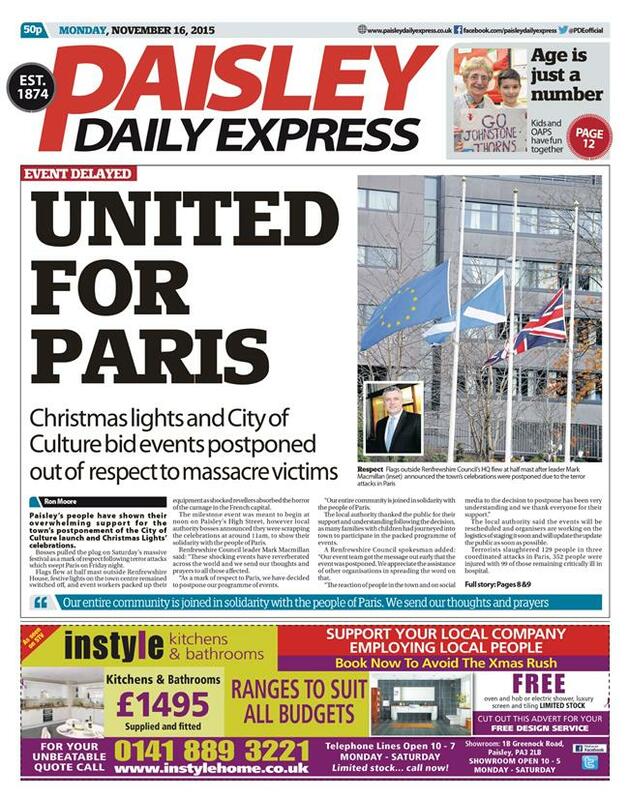 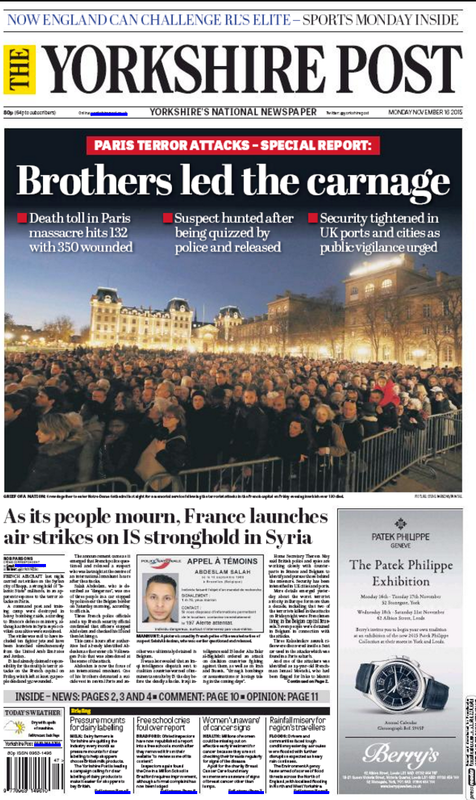 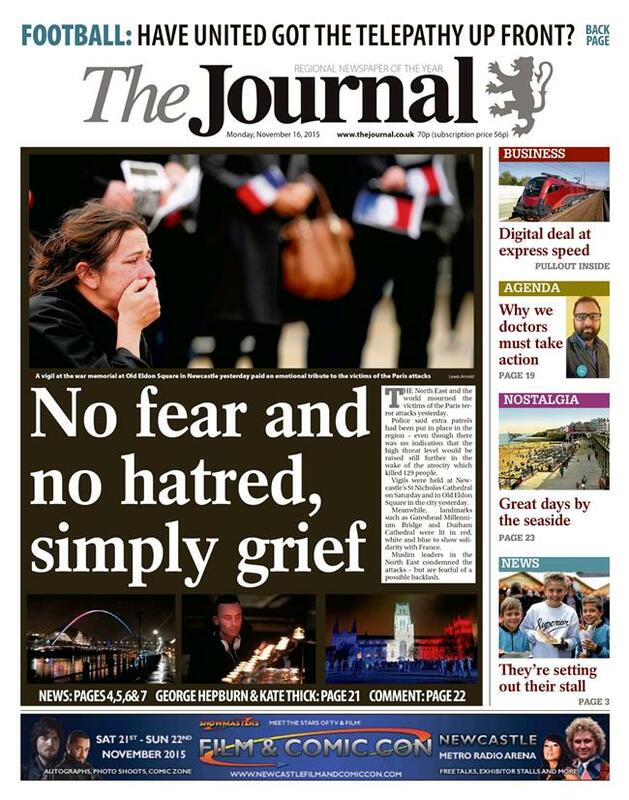 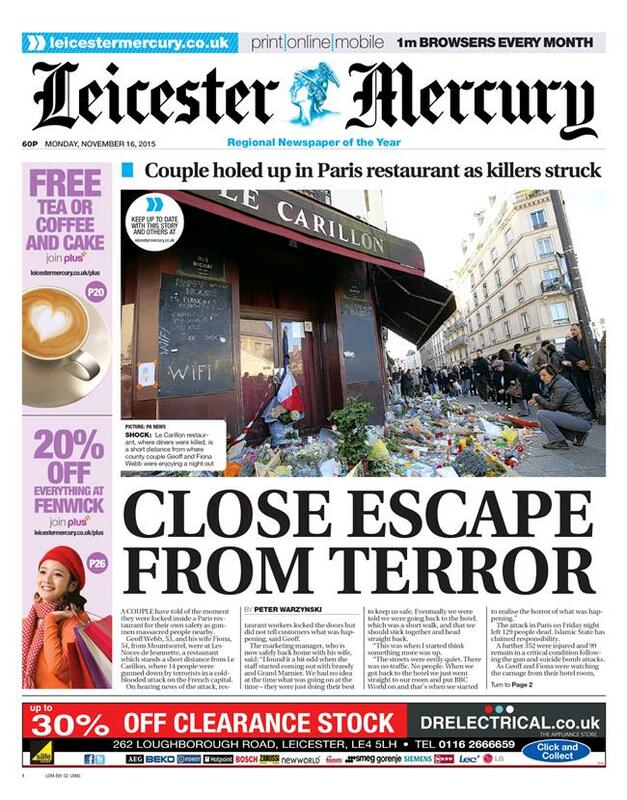 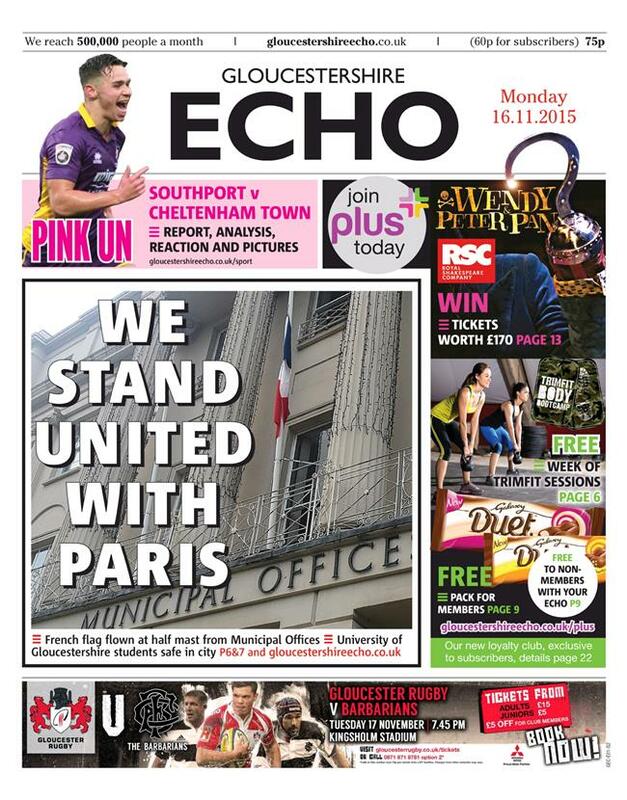 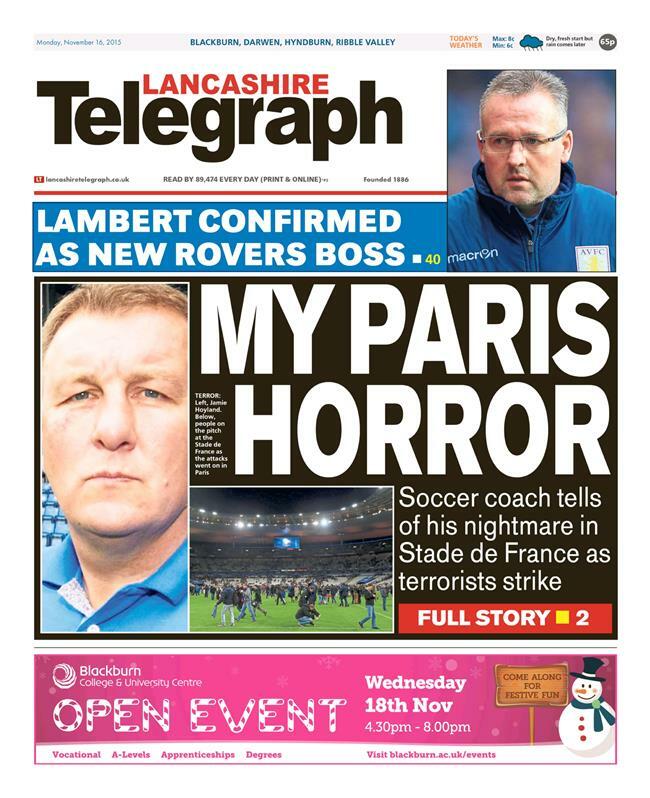 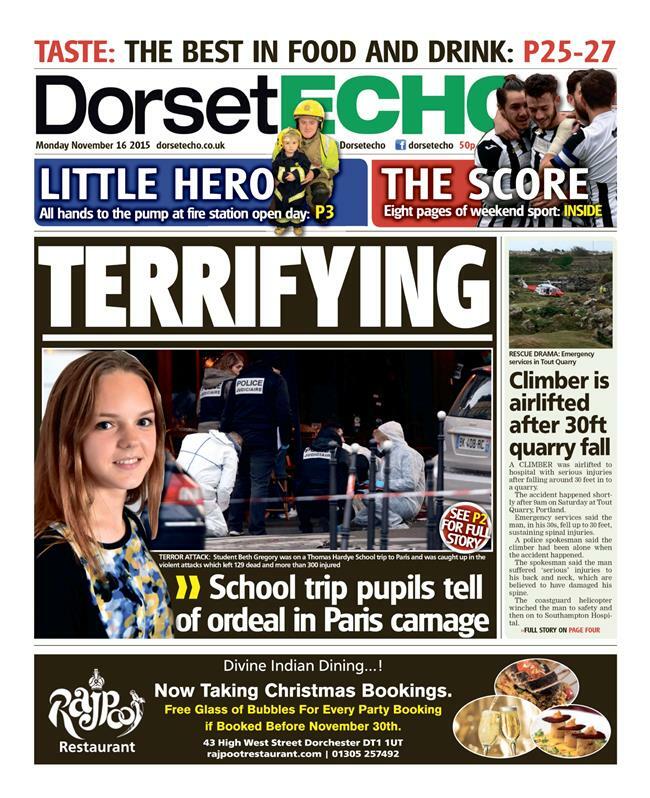 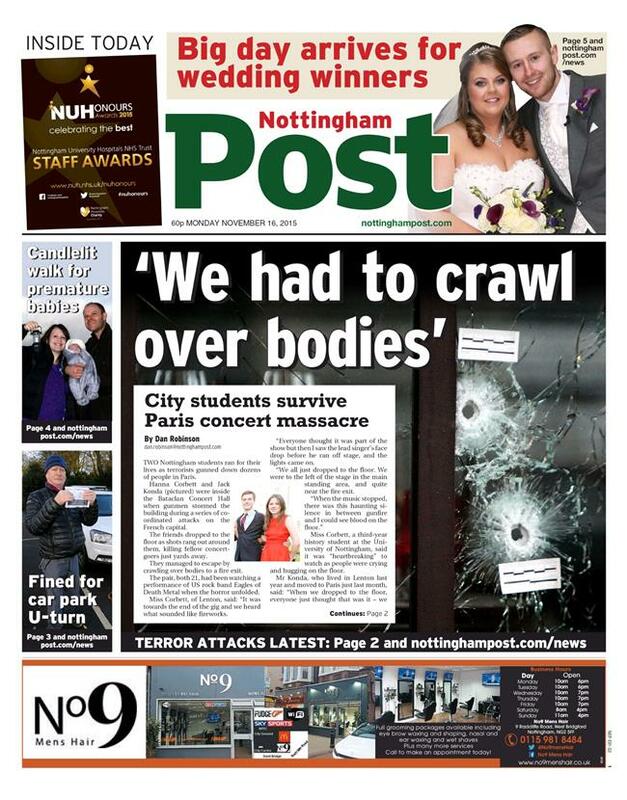 On Saturday, I shared the print front pages from the regional Press which I could find which related to the tragedy in Paris. 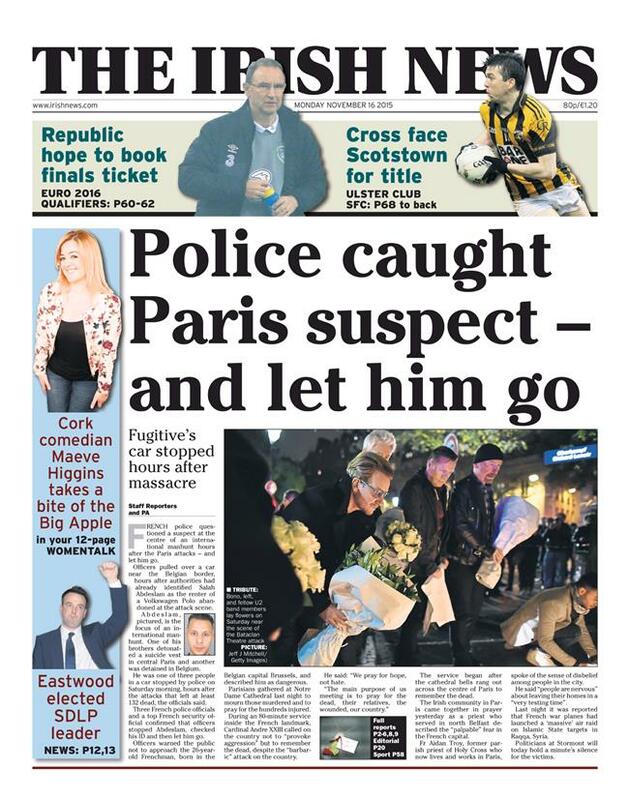 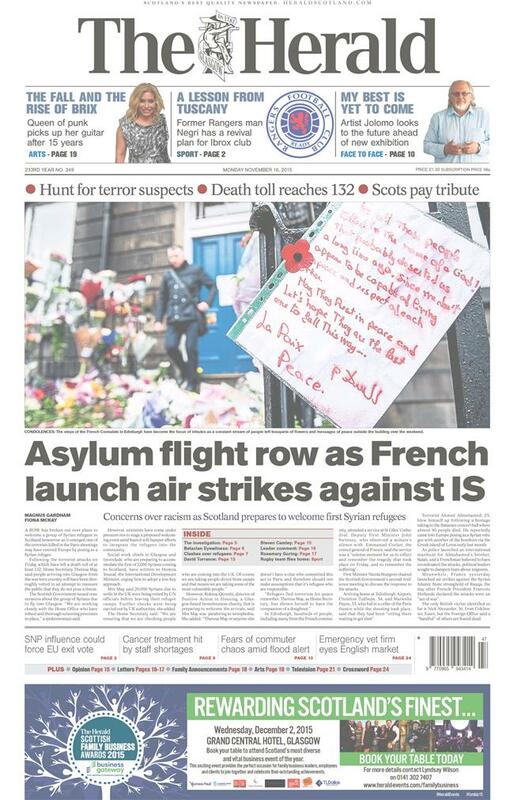 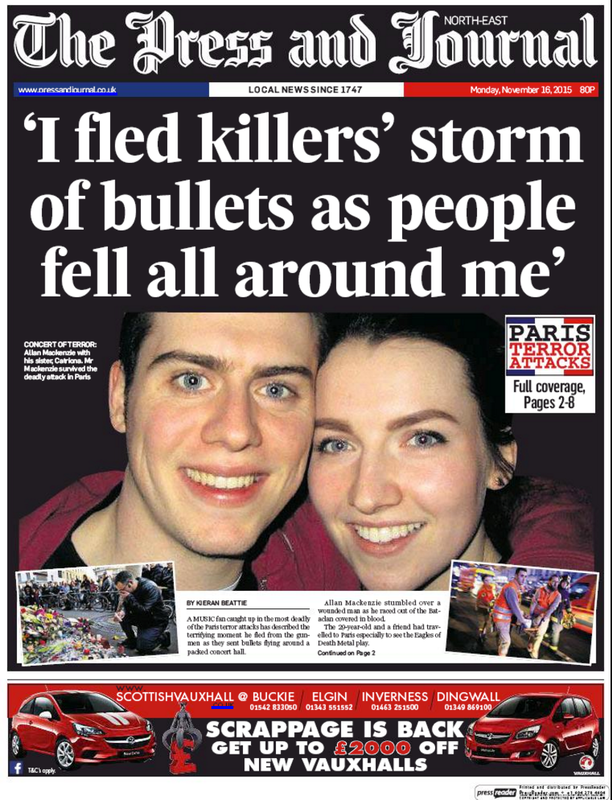 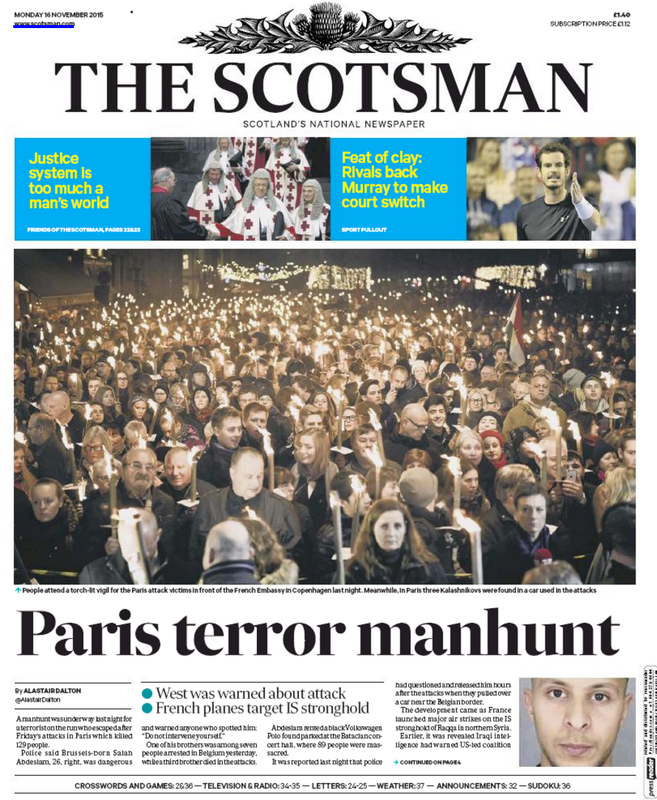 Many papers had already passed Friday night deadlines which meant that today’s front pages were the first opportunity to cover the story in print. 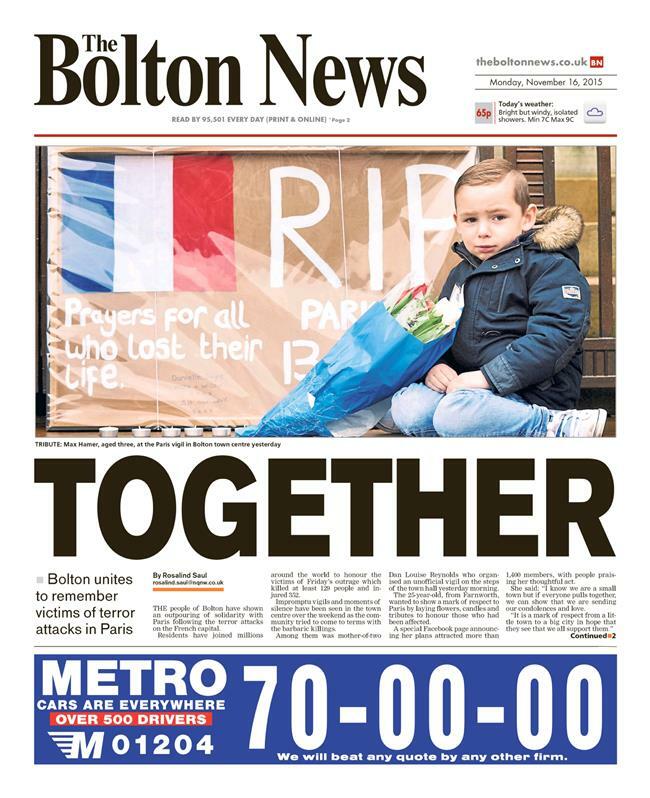 The size of the atrocity meant that this is far from ‘old news’, and the scale such that local lines appear to be in abundance, with reaction very visible on streets of towns and cities across the UK. 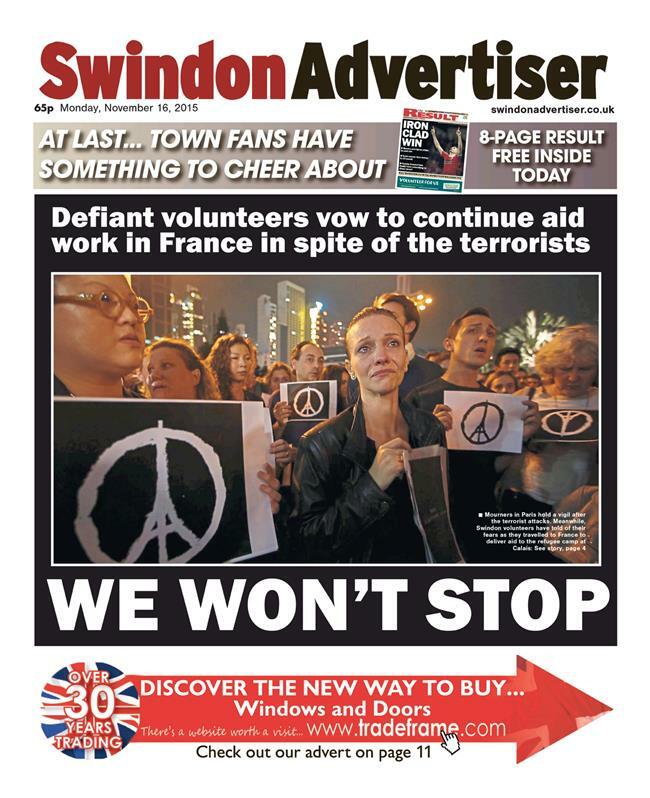 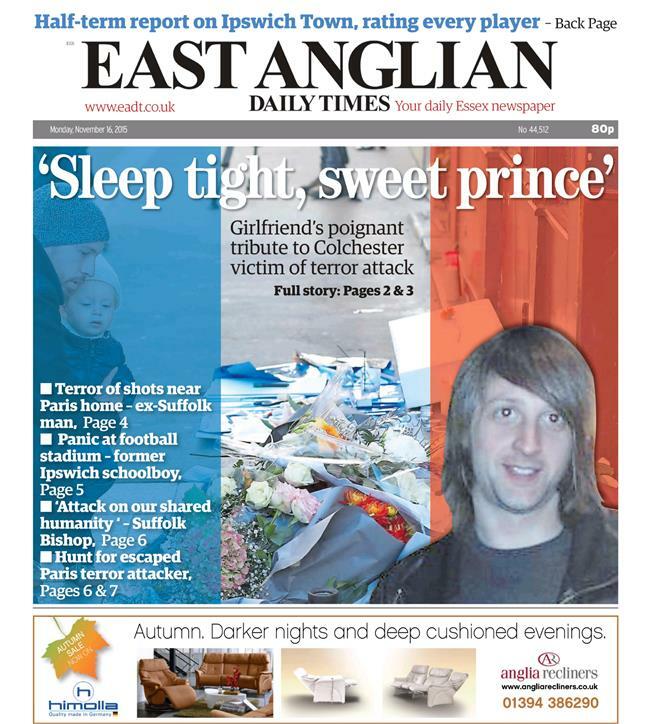 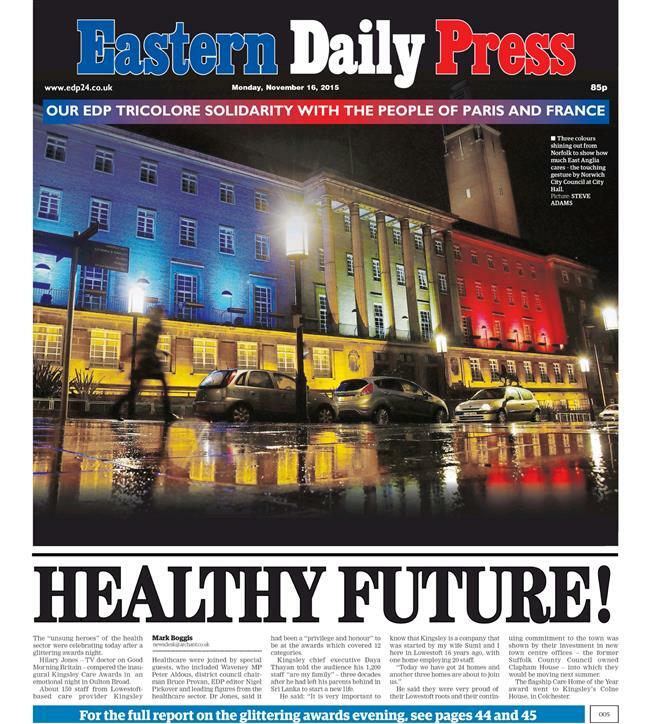 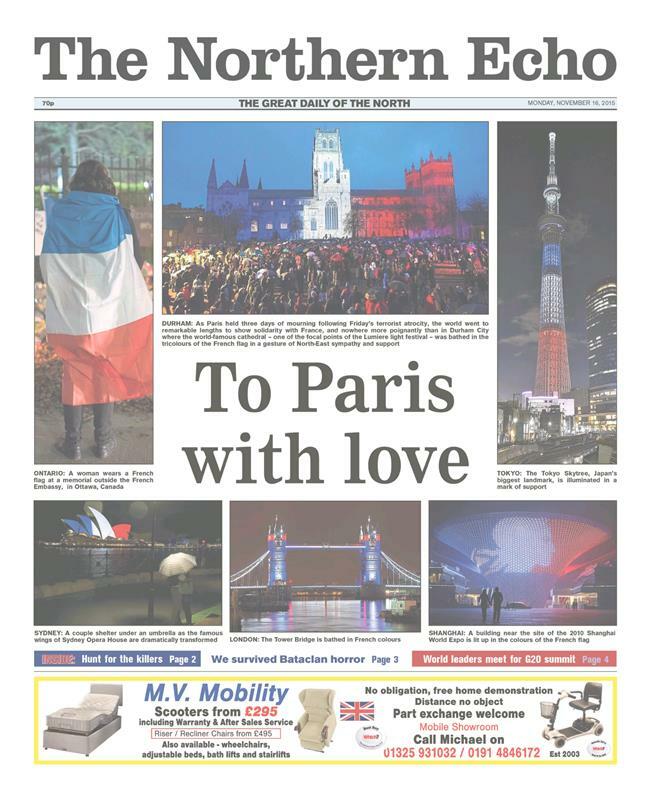 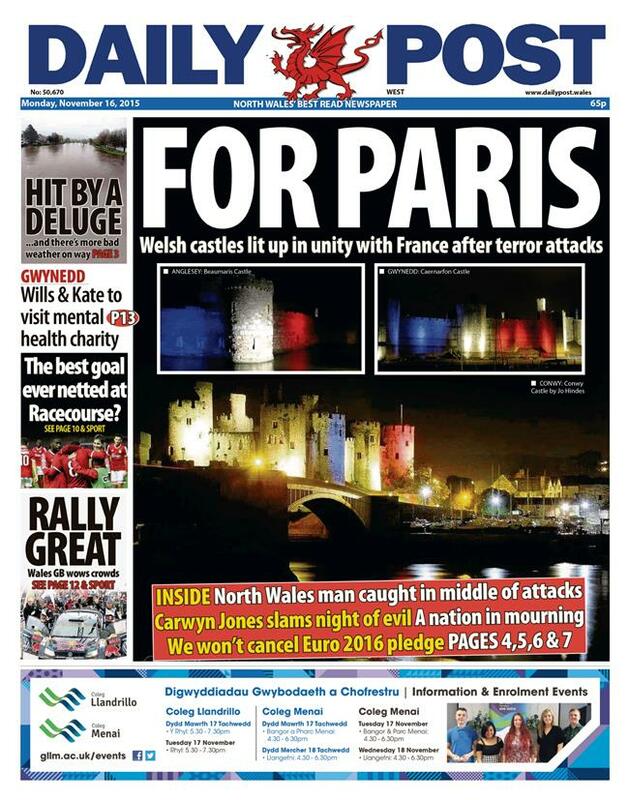 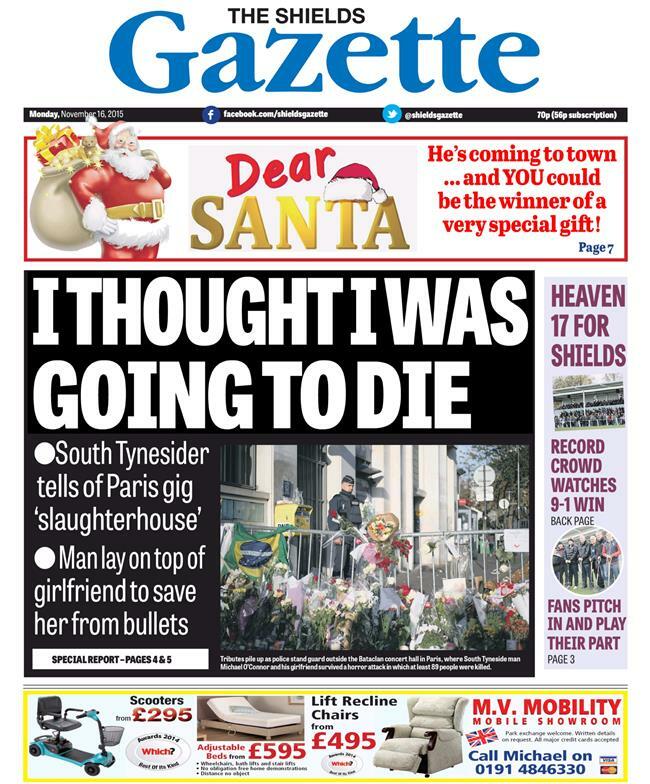 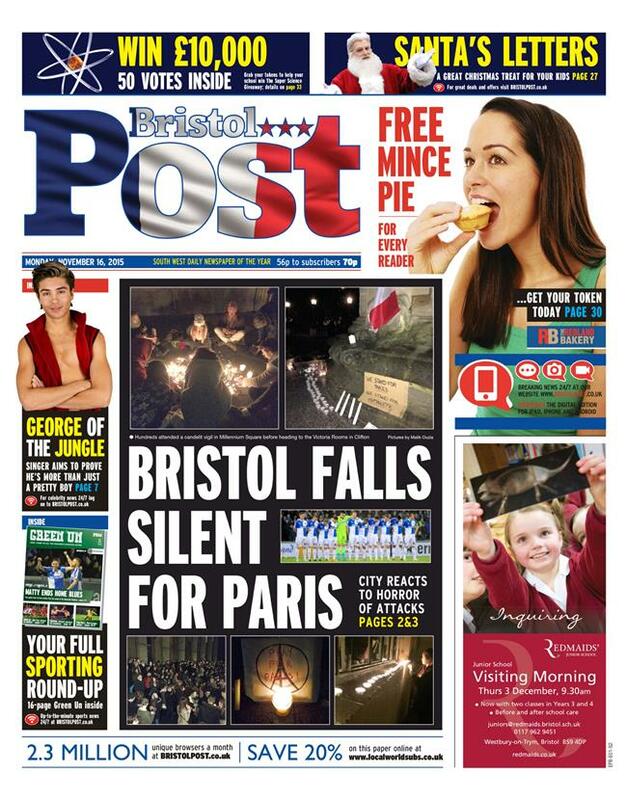 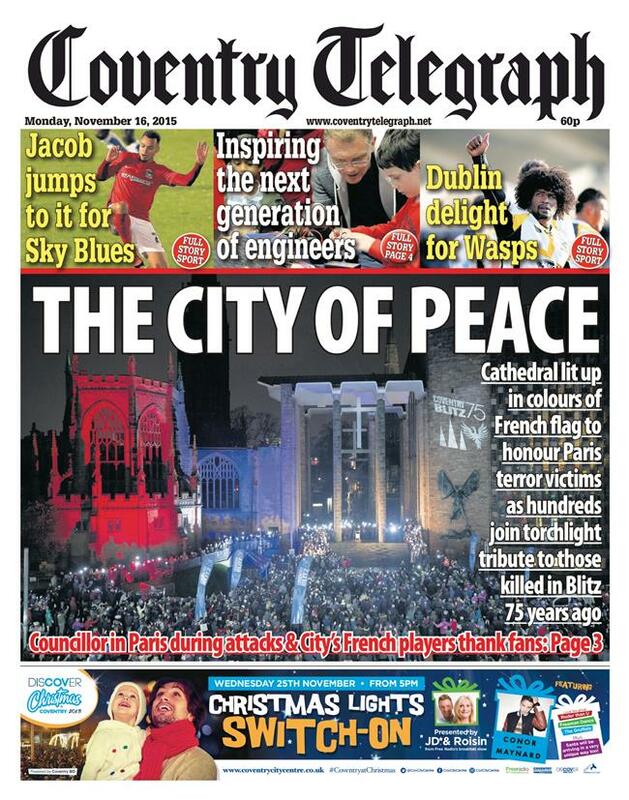 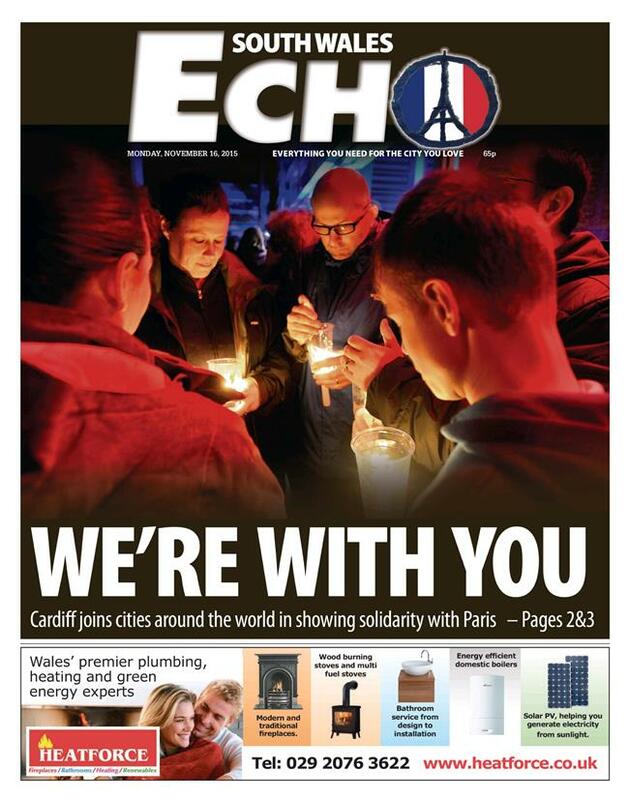 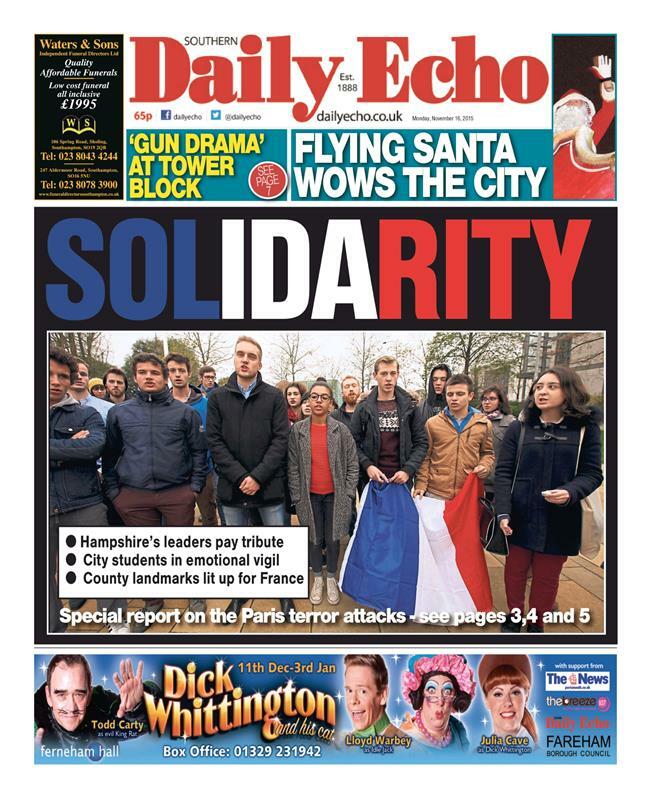 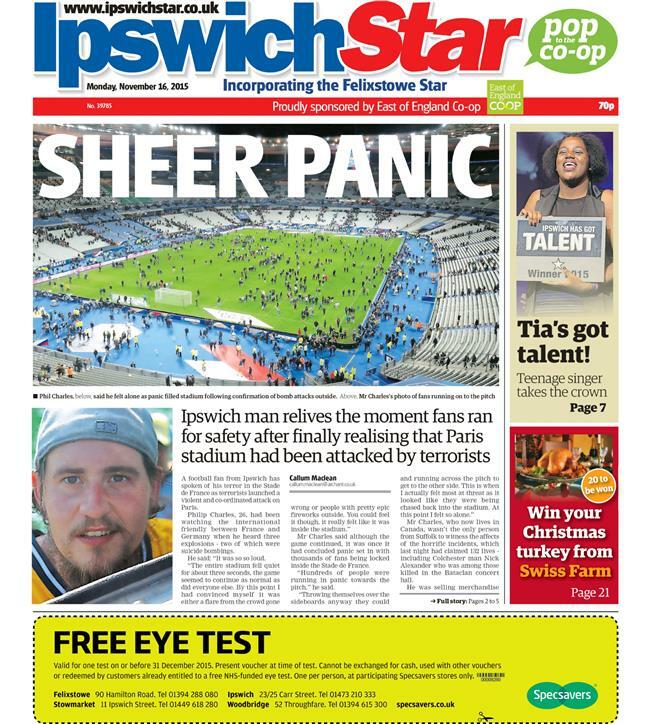 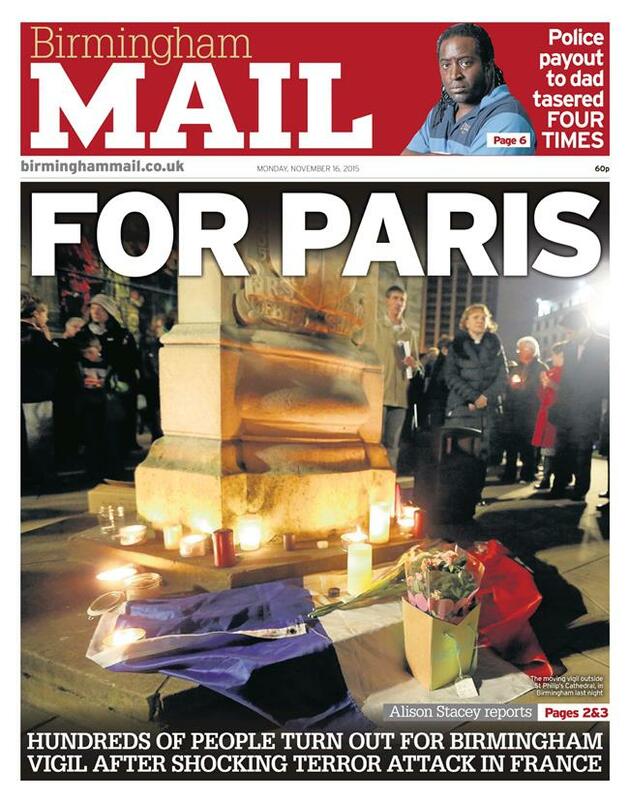 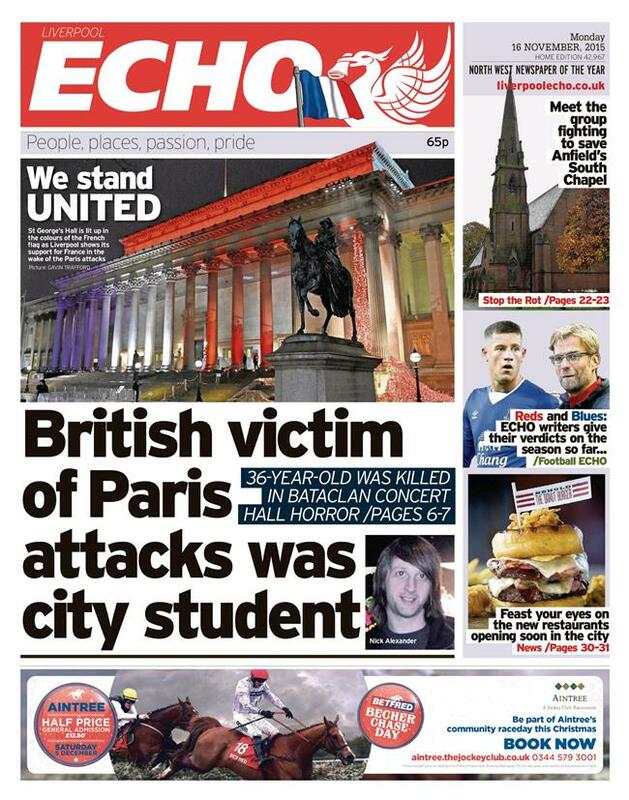 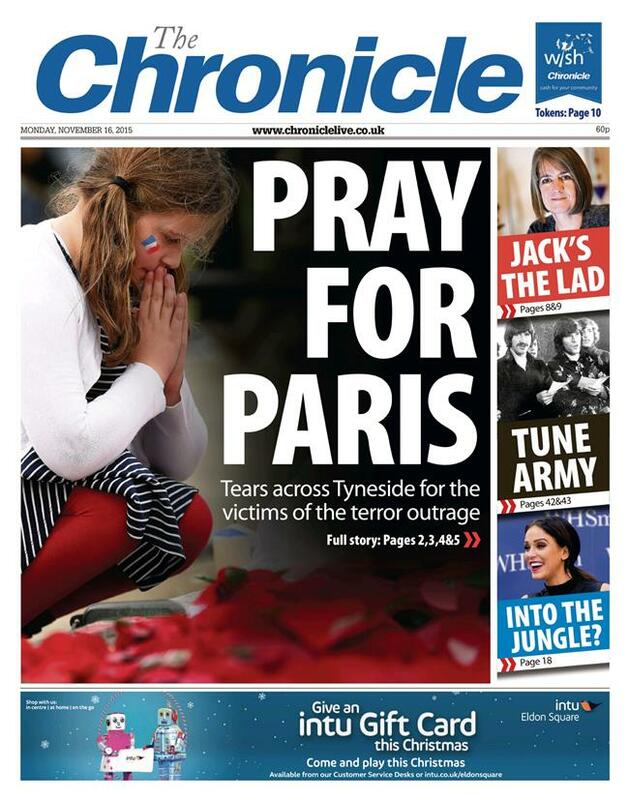 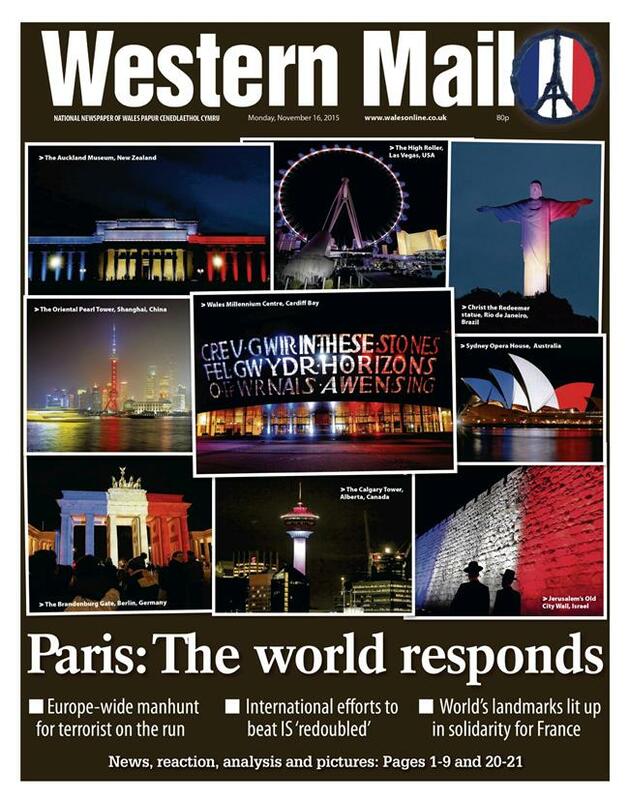 The front pages represent an interesting mix of stories, ranging from the latest development-style lines you would expect from the traditional morning newspapers through to the big shows of support reported on various titles as buildings were lit in red, white and blue and vigils took place across the city. 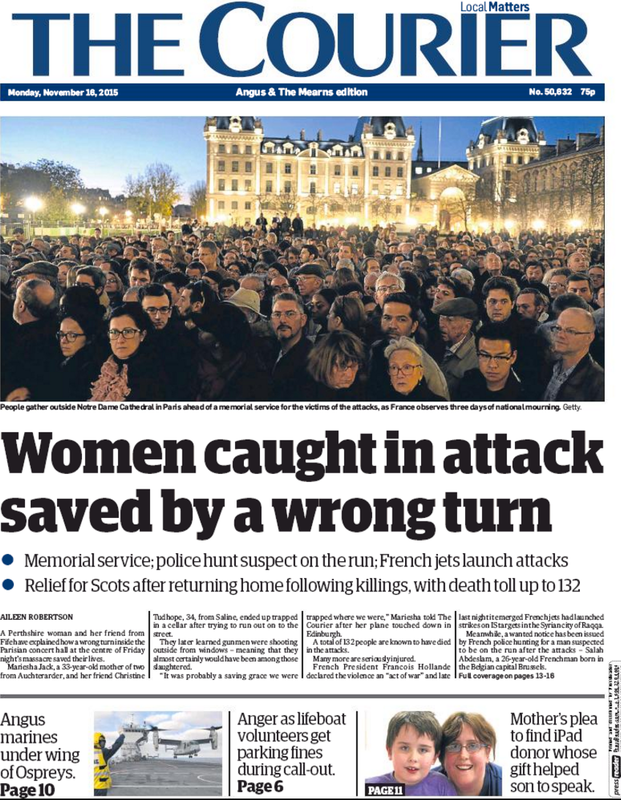 As with Saturday’s post, this gallery isn’t offered as a beauty parade, just a way of documenting how the regional media responded to one of the worst terrorist attacks in years.